As we established in Pursuing Perfection, Part I, God wants us to be perfect. He knows that won’t happen through our own efforts, though, so He made a way for us to be perfect. Our own efforts won’t bring perfection. The world’s path won’t either. Only God’s way provides a way for perfection to become a reality. Consider the following people’s lives. If you read the scripture reference, you’ll actually see these individuals described as “perfect” “mature,” having “wisdom,” “blameless” “righteous” and even “without blemish.” All of these get at the idea of perfection in the eyes of God. If these individuals and groups of people – with their human frailties and significant mistakes – are seen as perfect (without fault) to God, why can’t we, even on this side of heaven, be considered “perfect” too? How do we reach perfection? If perfection is impossible, why bother? Why not coast through life with a “good enough” mentality? For two reasons. First, God tells us to strive for perfection. Second, He has provided a way for us to be perfect. God – His grace perfects, confirms, strengthens and establishes us (1 Peter 5:10). Christ – He has already achieved perfection for us (Hebrews 10:14). The Holy Spirit – Our human effort blinds us to the process of perfection the Holy Spirit leads us through (Galatians 3:3). God’s Word – Imperfect hands + the perfect tool (His Word) = adequately equipped (2 Timothy 3:16, 17). Ministry – Matures the body of Christ to perfection (Ephesians 4:11-13). Sufferings – Jesus, the author (perfector) of our salvation, was the perfect leader because of His sufferings (Hebrews 2:10). Love – Drives out our fear, including the fear of not being perfect (1 John 4:18). God perfected us through Christ, and nothing we do can reach the goal of perfection. But, that doesn’t mean we just give up and coast through life. Scripture clearly says that perfection comes through Christ; it’s instantaneous at salvation. But, it also say that it’s at the same time a progressive work in our lives. 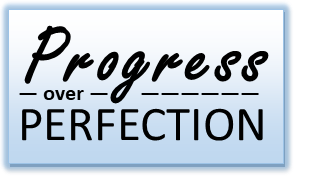 Pursuing Perfection, Part III gets at how that progression exists based on scripture. DISCUSSION: How does your life change knowing that the pressure is off to be perfect because, through Christ, you already are perfect? This topic pulls at strings deep inside my heart and mind. Not only does it represent a personal struggle, it also reflects a struggle I see in those I love too. Perfectionism creates a focus on self, and many – myself included – find this mindset difficult to shake. For this reason, this series will address this widespread challenge and look at the path to freedom from its dictatorship. Confession time: I said “yes” to all 10 of these. Clearly, a perfectionist mindset securely grasps my thinking. While this is a more widespread issue for me, many people are perfectionists only in certain areas of life. For example, my oldest son is a perfectionist with grades in school but not in other areas of life. When I was a child & through high school, I lived life without much guidance or any focused plan. In college, I became a perfectionist. Why? Maybe I wanted control over my life, or perhaps I wanted to finally feel good about myself, or it could be I wanted others to acknowledge my accomplishments. Most likely it was a combination of these and other reasons. Regardless of why it started, my battle with perfectionism eventually found its way into virtually every area of my life. Perfect shoes – Guys don’t understand, but shoes matter. Perfect hair – A lifelong struggle still without resolution. Perfect work – A missing comma is good reason to reprint & recopy. Perfect friendship – Expectations of perfection resulted in lacking any longstanding friendships. Perfect marriage – Being depressed over imperfection almost cost me my marriage. Perfect kids – Always focusing on how to improve and forgetting to focus on progress. I wanted perfection but at the same time knew perfection was impossible. I created a heavy burden for myself and others. I was not a fun person to be around. At the other end of the spectrum are those with a “good enough” approach. They don’t even try because they know that perfection is impossible. So, instead of doing their best, they do enough to get by. Doesn’t sound like just getting by really works well either. Perhaps you’ve seen the slogan, “The Relentless Pursuit of Perfection” in a Lexus advertisement. I want a perfect car, don’t you? For me, that means never having to buy another car or fuel it up again. For sure you’ve heard the sayings, “Practice makes perfect,” and “Nobody’s perfect.” So, we practice to achieve something we can never achieve? Why bother? Probably the best example of how our culture impacts perfection lies in the beauty industry. Products to make us perfect and then more products that made the old perfect no longer good enough. Without a doubt, our culture pushes us to the extremes telling us to be perfect but at the same time keeping it well out of our reach. We are set up for failure. Unfortunately, Our own expectations plus the mixed message of our culture bring us only to frustration. Perfection remains painfully illusive. Both approaches – perfectionism and “good enough” – focus on our own efforts, and that’s not what God had in mind when he told us to be perfect. That’s right, God wants us to be perfect. He is a perfectionist, but He can be BECAUSE HE IS PERFECT. But here’s the difference… God provides a way for us to become perfect. Our culture and our own efforts do not. 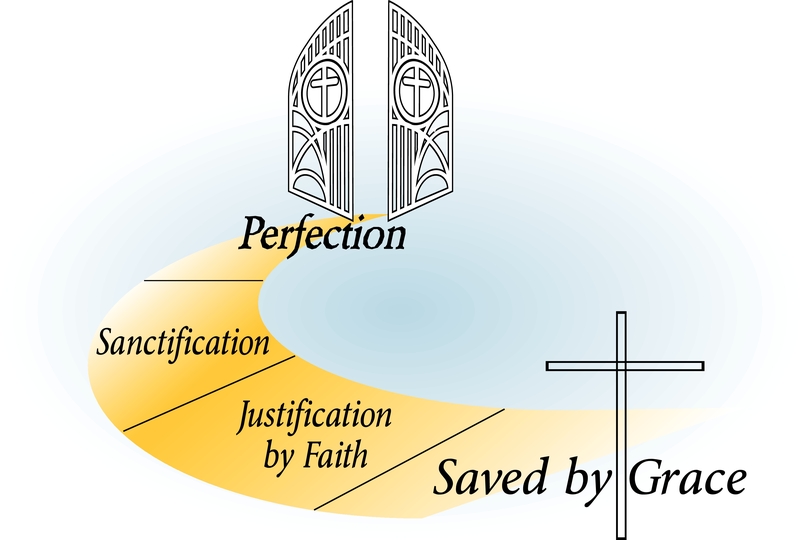 Pursuing Perfection, Part II looks at the only way to obtain perfection… God’s way. DISCUSSION: Anyone else have any perfectionist confessions?